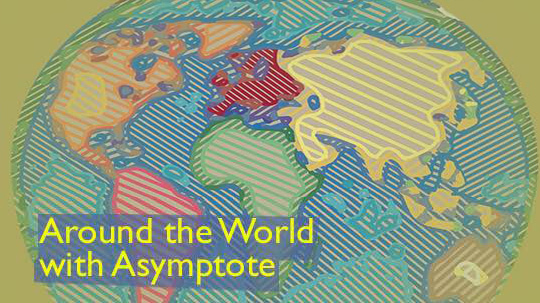 A quick zip through the literary world with Asymptote! Today we are visiting Iran, Brazil, and South Africa. Literary festivals, new books, and a lot more await you. The Persian translation of Oriana Fallaci’s Nothing and Amen finding its way into Iran’s bestsellers list almost fifty years after the first publication of the translation. The book was translated in 1971 by Lili Golestan, translator and prominent Iranian art gallery owner in Tehran, and since then has had more than a dozen editions published. The most recent round of sales is related to Golestan giving a TEDx talk in Tehran a few weeks ago about her life in which she spoke of how that book was the first she ever translated and how its publication and becoming a bestseller has changed her life. In other exciting news from Iran, the Tehran Book Garden opened its doors to the public recently. Advertised as “the largest bookstore in the world,” the space is more of a cultural complex consisting of cinemas, cultural centers, art galleries, a children’s library, science and game halls, and more. One of the key goals of the complex is to cater to families and provide the youth with a space for literary, cultural, scientific, educational, and entertainment activities. The complex is considered a significant cultural investment for the the Iranian capital of more than twelve million residents and it has since its opening become a popular destination with people of different ages and interests. Finally, a piece of news related to translation from Iran that is amusing but also quite disturbing. It relates to the simultaneous interpretation into Persian of President Trump’s speech in the recent U.N. General Assembly broadcasted live on Iranian state-run TV (IRIB). The interpreter mistranslated several of his sentences about Iran and during some others he remained silent and completely refrained from translating. When the act was denounced by many, the interpreter published a video (aired by the IRIB news channel and available on @shahrvand_paper’s twitter account) in which he explained that he did not want to voice the antagonistic words of Trump against his country and people. This video started another round of responses. Under the tweeted video, many users reminded him of the ethics of the profession and the role of translators/interpreters, while others used the occasion to discuss the issue of censorship and the problematic performance of IRIB in general.